We have booths presenting used books at the Kiwanis pancake breakfast at the beginning of September and at the RBHS Foundation Pancake Breakfast at the end of September. This major fundraiser was held for the first time in January 2014 at Lake Hodges, Rancho Bernardo and was a huge success. 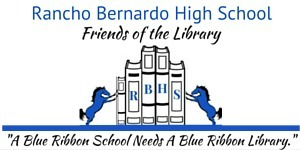 During Rancho Bernardo High School’s registration days in August, we have a table at the school where we ask parents/guardians for donations to the RBHS Friends of the Library. In the spring of 2013 the FOL launched the first Bucks for the Broncos Online Auction along with the RBHS Foundation. 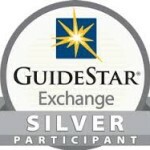 Community members donate goods and services to be listed on BiddingforGood.com where we raise thousands for our library every year. Come Join In on the FUN-draising! Help fundraise with RBHS Friends of the Library!